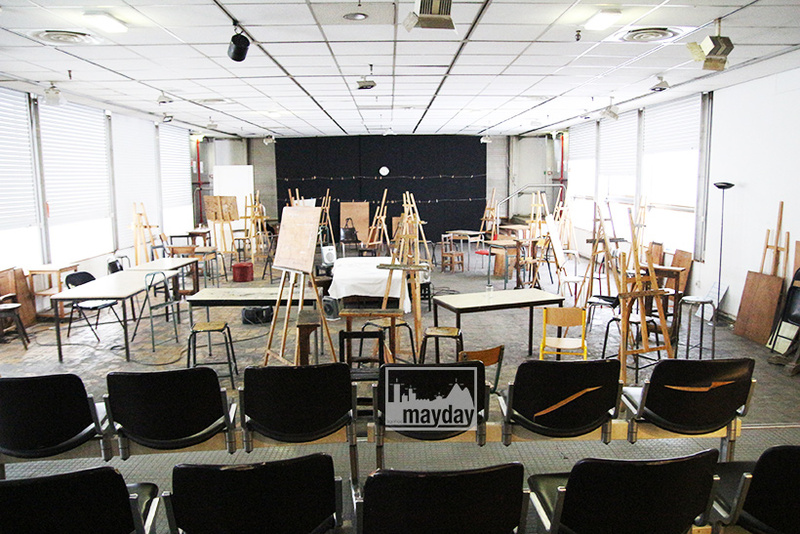 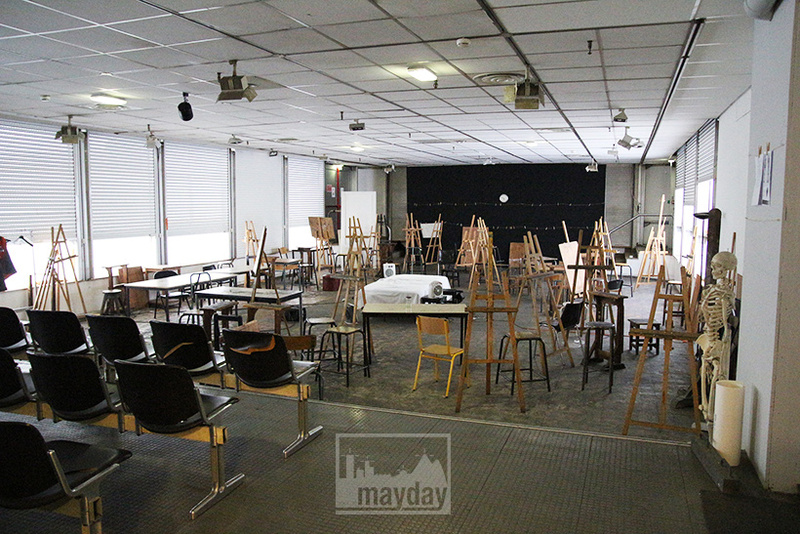 The painting workshop (clav0087k) | Agence Mayday, scouting agency | Best location for your project concerning : feature films, TV, commercials, promos, photo shoot & events. 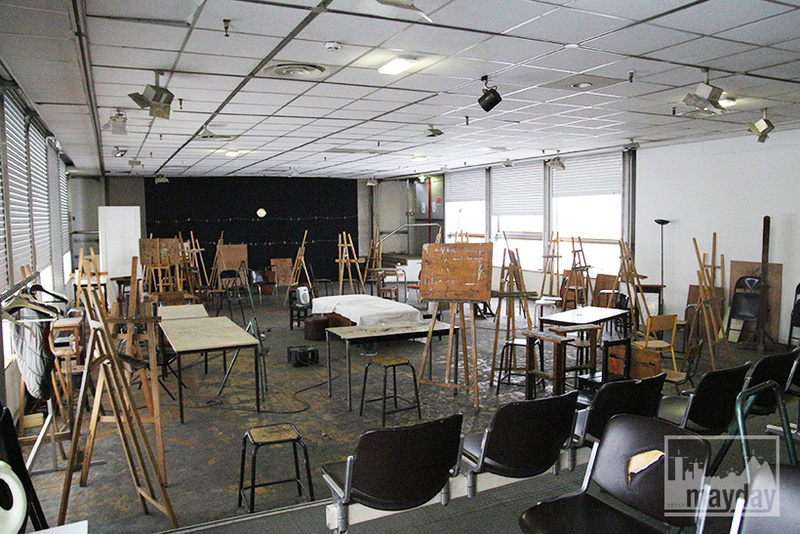 Painting classroom with a podium, large stuffed windows and a central space for a model. 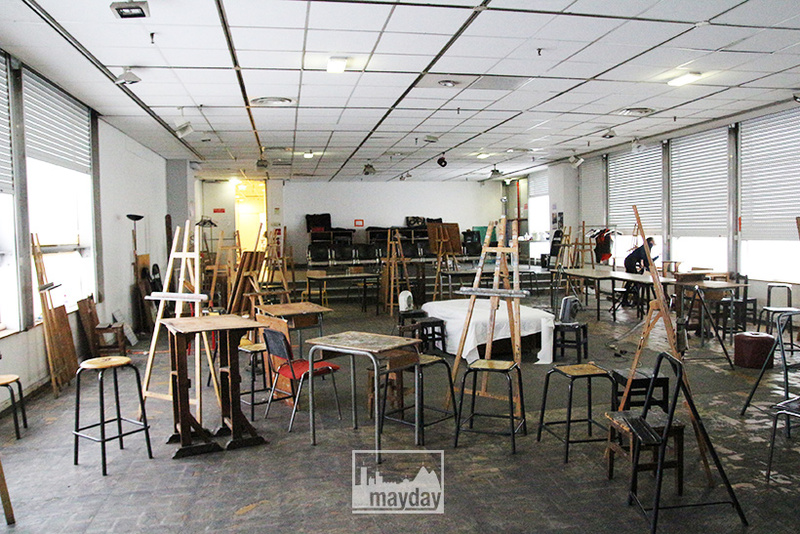 Concrete stained ground, suspended ceilings and old classroom chairs.